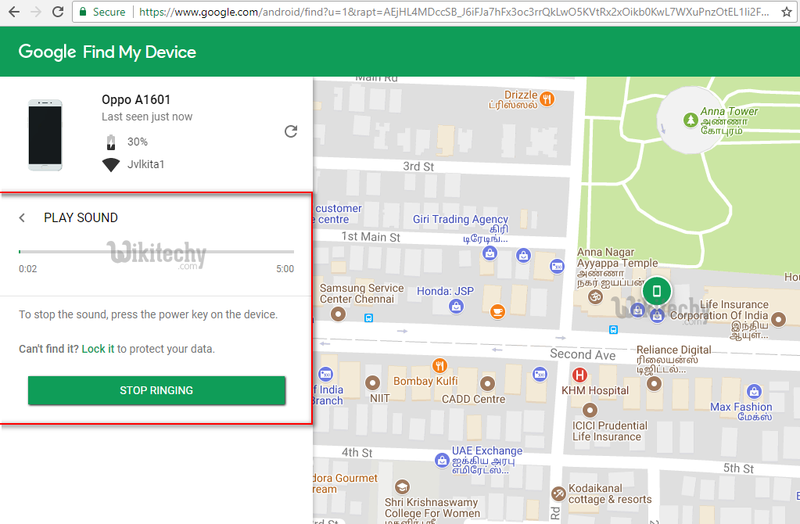 In case you’re lose your device, head over to my guide on how to track a mobile phone. 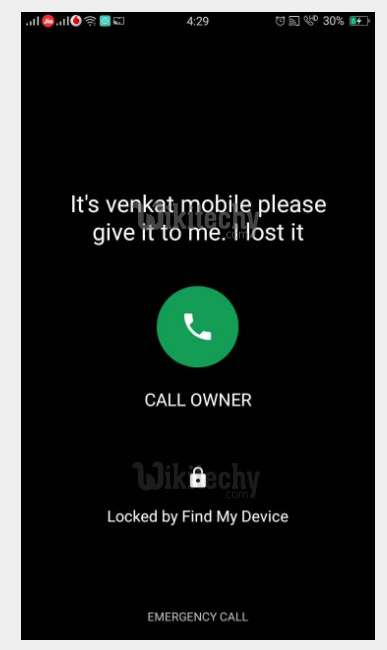 There are a handful of phone recovery or anti-theft apps on the Google Play Store which can be a lifesaver in case you lose your phone or it gets stolen. 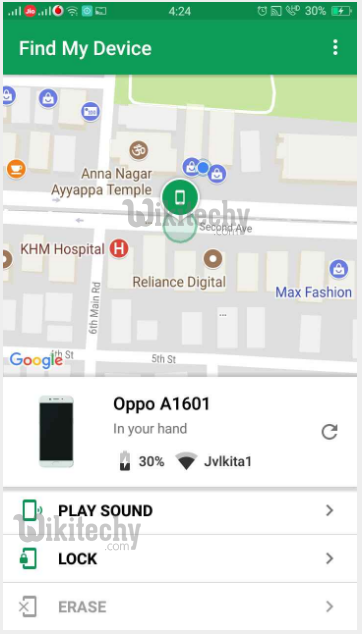 Android not only offers Google’s exclusive service for finding and managing your device remotely but also a number of third-party apps designed for finding your smartphone. 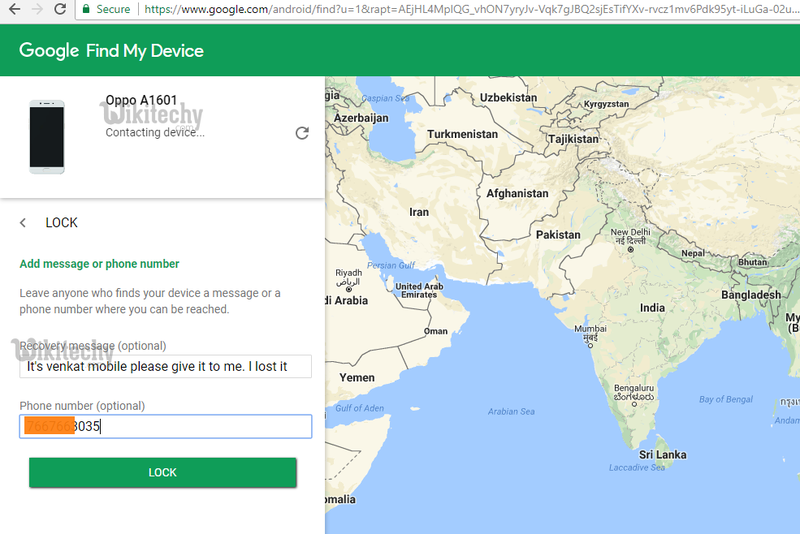 The easiest to use is Find My Device, which is built directly into your Android smartphone through Google Play Services. 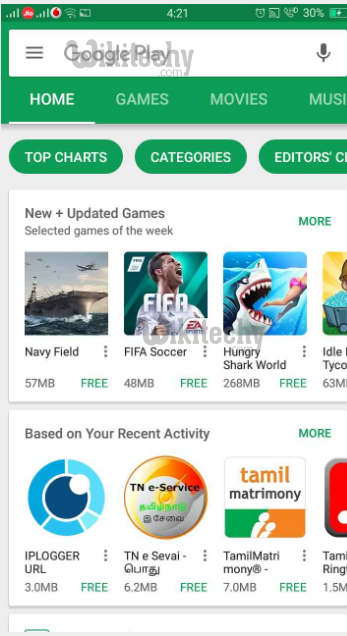 Goto google play store search for the app Find My Device. 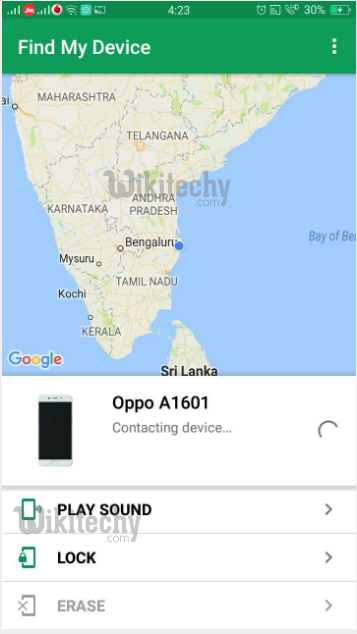 Download Find My Device and install it in your mobile. First time, it will ask for the email id to login with password. Give your Gmail id username and password to login. 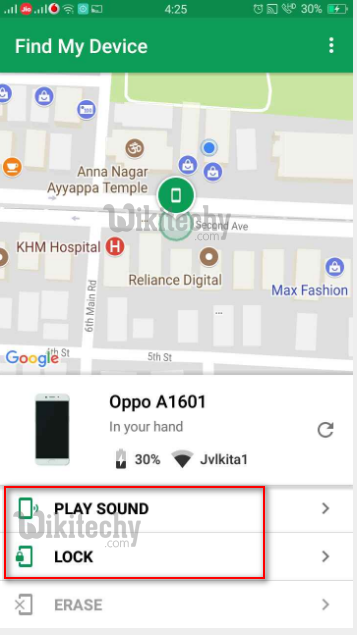 Goto the website https://www.google.com/android/find while Login with your Gmail username and password used in your mobile. 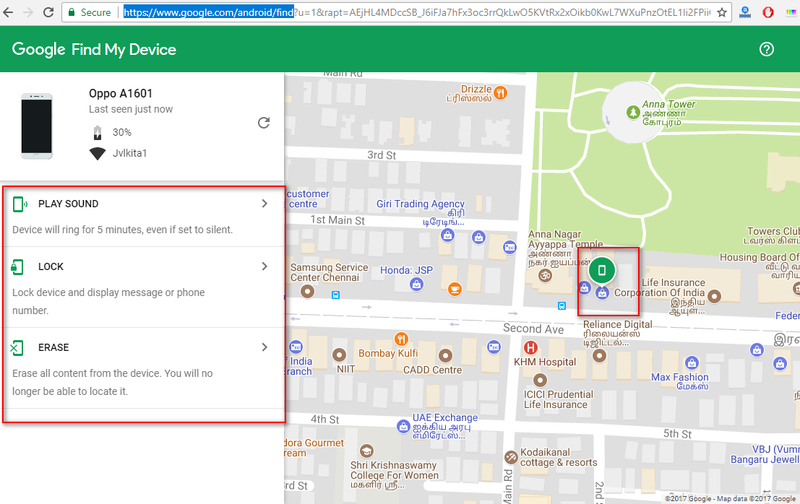 Once the site is loaded it will automatically try to track down your phone. 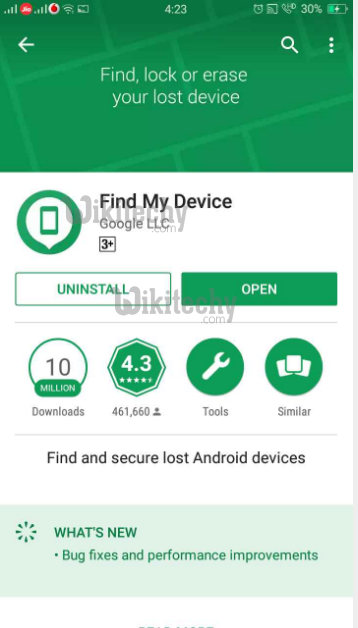 Find My Device App offers options to ring, lock or erase your device. 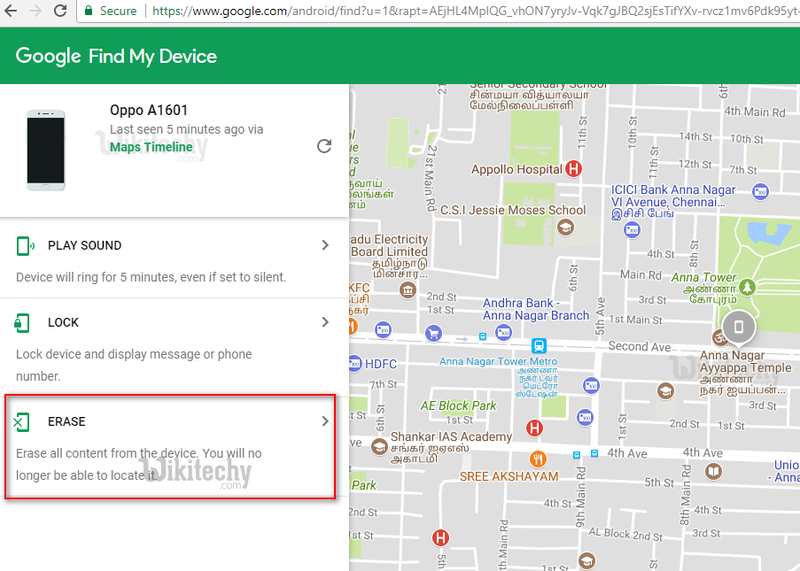 Your device will ring for 5 minutes even if set to silent otherwise to stop the sound, press the power key on the device. If you can use erase option erase all content from your device.